World Heavyweight title match: Edge vs. Undertaker. Teddy Long wheeled Vickie Guerrero to the top of the entrance ramp so that Edge could kiss her before he walked down to the ring. Undertaker attempted the top rope walk, but Edge, followed by an Undertaker counter. Coachman and Cole are calling the main event. Edge stayed on the offensive in the early stages on the match. Taker did the dive over the top rope onto Edge on the outside. 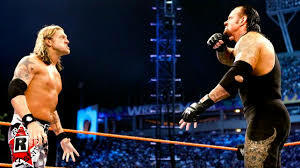 Vintage Undertaker as he drop kicks Edge on the edge of the ring. Edge dropped The Undertaker over the guard rail. On the mat, Edge worked on The Undertaker's leg. Snake eyes by Undertaker, but Edge countered with a drop kick, and a two count. Edge countered a chokeslam attempt with a DDT, but Taker kicked out. Chokeslam by Undertaker, but only a two count. Superplex by Edge. Edge countered a last ride into a neckbreaker. Last ride by Taker, but Edge kicked out. Edge blocked a tombstone attempt. Old school top rope walk by Taker! Referee bump. Edge low blowed The Undertaker with the referee down. Edge goes outside and gets a TV camera, and nails Taker with it. Edge went for the referee, but pushed him out of the ring. Tombstone piledriver by Taker. Charles Robinson runs down the ring, but it allows Edge to kick out. The Edge heads run down the ring, but Taker chokeslams one into the other. Spear by Edge, but Taker kicked out. Another spear, but Taker slapped on his submission manuever. 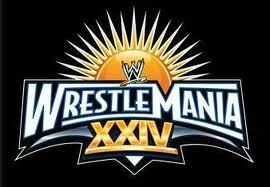 Edge taps out at 23:51, so Undertaker wins via submission and captures the World Heavyweight title. 16-0!